He is best known for being a comedian, but PJ Gallagher has spoken about why he volunteers as a crewman with the Dún Laoghaire Royal National Lifeboat Institution (RNLI). He joined his fellow crewmates for the launch of 'Mayday', the charity's annual fundraising campaign. 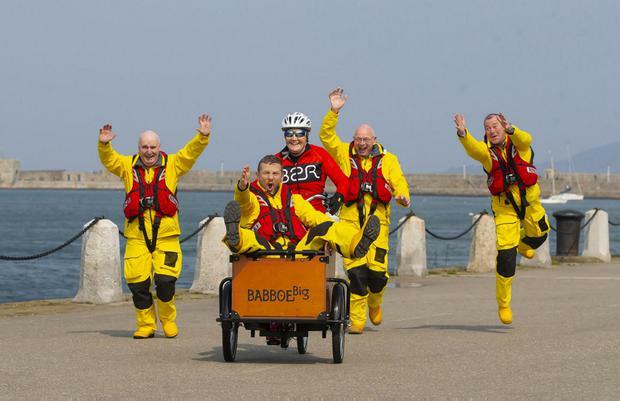 For the month of May, the RNLI's campaign aims to raise €780,000 for the crucial kit its volunteer crews rely on, including lifejackets, helmets and yellow wellies. There are more than 1,500 volunteer lifeboat crew. Gallagher said: "Being a volunteer lifeboat crew member with the RNLI, I know first-hand the commitment it takes. "Our crews drop everything when their pagers go off to launch the lifeboat, and head out to help those in trouble."